This month we share Tom Taylor's "Flash History" about the flood of 1869 followed by news clippings regarding the flood of 1969 and washing out the Salinas River bridge again. This month we've selected some history about the early San Miguel community working together to get a bridge across the Salinan River. We are sharing some background on the Friends of the Adobes in celebration of the fact that October 2018 marked their 50th Anniversary as a non-profit organization in San Miguel. Spending time with Barbara Robinson(Art's wife) and daughter Susan Hall regarding Caledonia Adobe history. Art Robinson was the Park Ranger who lived at and maintained the Caledonia site during time of its restoration-- about 1968- 1978. He got very interested in local history and collected many interesting documents. What follows is just a small section of one such document. Shared some interesting notes from Anna Nygren. Anna was born in the Caledonia (the last child born there) in 1907. 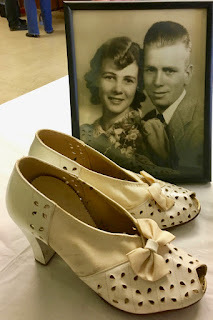 She liked to write and a few of her childhood memories are in files of the Wally Ohles Research Library at the Caledonia. I'm trying to get some of them typed up as most are written in pencil but with beautiful penmanship...something that was treasured in those days. This piece was written probably around 1917 when she would have been about 10. It gives you a idea of life back then and the beauty they found in their lives. Enjoy! This month is a focus again on earlier times in San Miguel. Thought you might be interested in some of early development and struggles that have had their impact. This month we share another writing by Ella Adams that we believe she wrote in 1980's. She shares some of her knowledge of the local Indians. I do want you to be aware that the word "Squaw" is no longer politically correct. The meaning meant someone who had no worth...something that was dispensable, had no value. The photo at the end is from Steve Kalar, Ella's nephew. It is a picture of a mortar bowl found by his father while farming on the ranch. This month is about Doc Murphy who was one of 5 doctors in San Miguel in the late 1880's into early 1900. He played a very active part in development of the community. This month is a copy of writings by Ella Adams about the period of 1860 - 1890's. For further clarification and information, Laverne added some details obtained from what we have collected for the San Miguel History Project. Hope you enjoy being enlightened about San Miguel's past times. 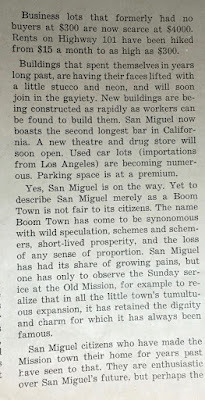 This month we share an article taken from the June 1886 Inland Messenger, which was the first San Miguel Newspaper . In the article, the editor is responding to a piece written by the editor of the Paso Robles newspaper, the Paso Leader, allocating the importance of San Miguel to the mission. The beginning of the San Miguel article is the piece from the Paso Leader followed by an elaboration on the many facets of the importance of San Miguel besides the mission, as he sees it in 1886. Wonder what our list might look like today? Have you noticed the bridge railing design at south Mission St? Did you know it was designed to coordinate with the balcony railing at the Caledonia? SMRC as part of their "Masters in Artful Places" program, is again reaching out to Lillian Larsen School to help engage students in the creative arts. Our Lillian Larsen alumni, world famous artist Steve Kalar, will be working with Mrs. Heilmann's kindergarteners for three weeks of drawing on the subject of flowers and hornets. The project will culminate in a new mural for the school. This month we share some information regarding the first two art vinyls that were placed in San Miguel in 2004 and have recently been restored. Since both of these vinyls are at Lillian Larsen School, SMRC is in process of creating a plaque for each that will inform newcomers about the vinyls. 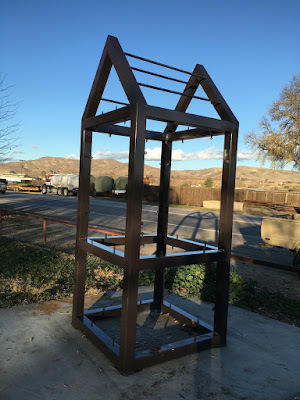 This month we share a new piece of public art that is a part of the San Miguel Resource Connection's History Project. Be sure to use zoom tools (+) at bottom of document to make print larger and easier to read. 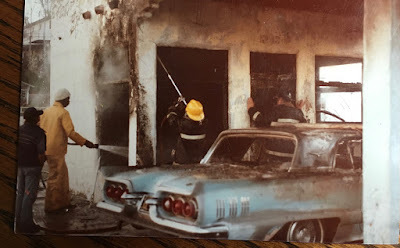 This month we share some memories from a San Miguel Volunteer Fireman in earlier days. Be sure to use zoom tools (+) at bottom of document to make print larger and easier to read. Back in those days, adult volunteer firemen received a flat $10 for each fire to which they responded. Then they donated it to the special savings fund for a new fire station—part of the money used to build the present station. Now San Miguel firefighters receive $15 an hour for the time put in responding. So it is still not a full time job, but a “when available during a call” job. 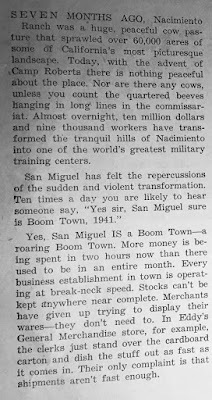 This month we share a look at the first newspaper in San Miguel , established as the town was anticipating the railroads arrival and historic changes were taking place. 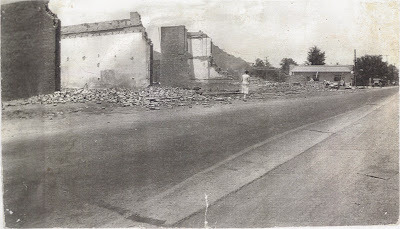 This month we share numerous construction projects in San Miguel that will become memories of times gone by. New Construction again leads to historic changes in San Miguel. Land that has long been vacant is finding new use. Roads are changing, including Highway 101, and the park is getting a makeover. A Glimpse at one life journey through the depression, WWII and beyond. not sure how many people are aware that San Miguel once had a local citizen elected as District One Supervisor, serving for 20 years. 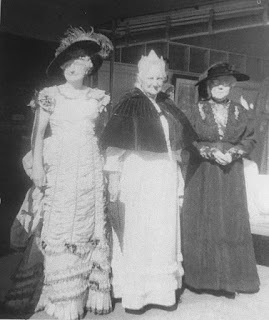 Ida Twisselmann in center, 1949 Paso Robles Pioneer Day Queen flanked by Maggie Palmar (L) and Mamie Fitzgerald (R) who served as her attendants. We had the pleasure of another visit from Bert King whose story we shared some time back. He lived in San Miguel as a child in the late 1920's to mid 30's-- Bert is 98 years young with a great memory still and so we enjoyed hearing more of his stories from the past. 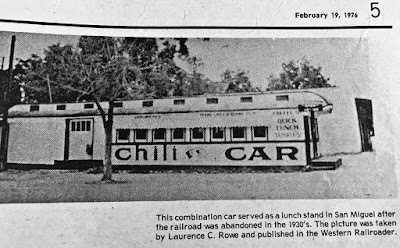 He remembers this old train car operated as Chili Car lunch stand and located at W. 13th and Mission (where presently there is a vacant lot). 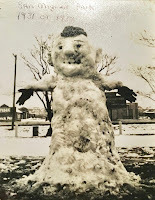 With the cold weather we've had lately, thought you might also like to see this Snowman photo given to us by Bert. He says they built that snowman in 1931 or 32 close to the park, which, at that time, was between 13th and 14th St on the east side of Mission Street.W. 13th & Mission (presently a vacant lot). I remember snow in San Miguel in the 50's, but not that much. some of the expenses of the kiosk. One of the new panels proudly displays the logos of our San Miguel N on-profit, service organizations. Perhaps you will consider joining one or more of them. information about our historical sites noted along with several historic photos for your viewing. We hope you find time to stop by and check them out and discover some of the history of San Miguel that you may not know. 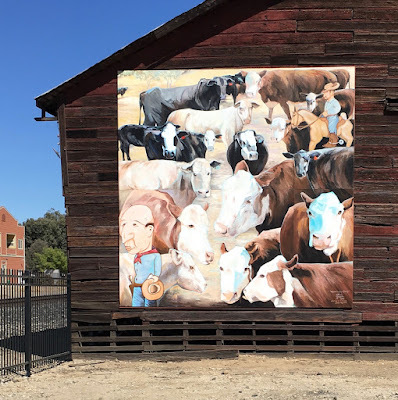 Our 2016 mural…Steve Kalar’s, “Kow Party”, has been installed on the South end of the San Miguel Flouring Mill Warehouse on 14th and N St. . It celebrates the local cattle ranching industry, the changes in cattle breeds and a vanished way of life and attitude it brought to our area. The cattle industry basically changed from Hereford cattle to Angus because of fat content in the beef ...the fat offering a richer flavor which America went for and for ranchers it was about who had certain breeds of cattle and them marketing them to make money. The cattle ranching industry was a way of life like the “wild Wild West” and driving cattle from one feeding ground to another. The Americans who did this had a certain attitude and way of life that was also part of our “San Miguel Spirit” but has completely disappeared. It was a way of living off the land and cooperating with Mother Earth to provide a perpetual life year after year. Kalar’s “Kow Party” was a piece proposed in 2003 and the original art was created then as well. An article appeared in the paper about the piece and a photo of it with a request for donations. About a thousand dollars were sent in for supplies and materials....Ray Dauth, from Paso and whose family business was Dauth/Leisey market on 12th street, was among the contributors. 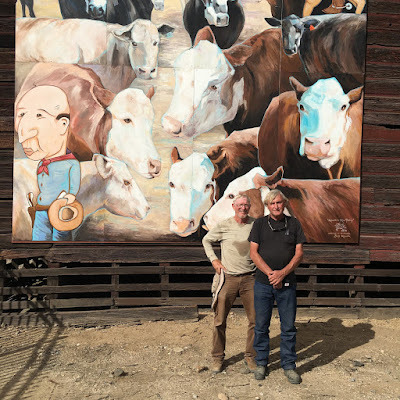 He was one of the best butchers of the area...the cattle industry supported his family business and he wanted to pay tribute in return...thank you Ray....Ann Ream from SLO a retired professional dancer wanted to support the piece because of supporting public art in the area. Thank you Ann and others who contributed. 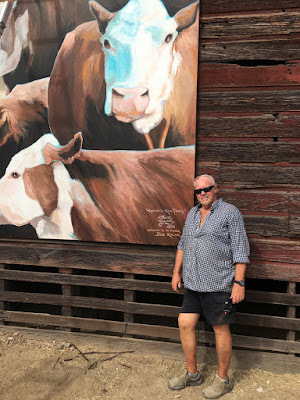 Steve says, " It has taken me thirteen years to have the time to complete the task...I feel a bit like the wheels of the government process....."
”Kow Party “celebrates the cattle industry and its many breeds of cattle. My dad’s mother’s family, the Wolfs, raised Hereford cattle free range grass fed and also with dry farmed grain hay. 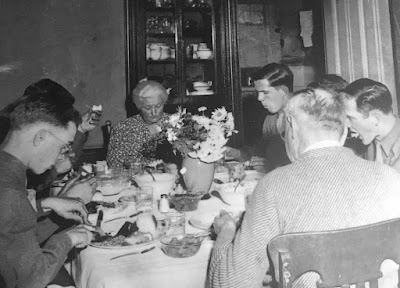 The Kalars had dairy cattle and black Angus which were fed with alfalfa hay because of the quality of milk needed for the family cheese business. The different breeds and how they were fed resulted in different flavor of beef...American competition at its best. Kalar is our local artist and fifth generation Kalar in San Miguel's rich history--Ella Adams was one of his Great Aunts. Steve's two helpers who did the major part of the installation work are his brother, David and friend, Brian Camsuzou. Their help is greatly appreciated. 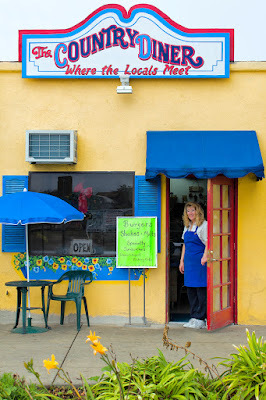 a bright spot in town with a community oriented owner. Linda Mora is well known for her friendly service & her contributions to the community of San Miguel. Over the years, Linda has been involved in school and community in a way that used to be the norm for all San Miguel business owners, but times have changed and Linda will be missed. Linda operated The Country Diner for a day shy of 30 years. Her lease was not renewed, guess the property owner has other plans for the space. But, Linda has stayed positive through it all and is now hoping to find a new location. We wish her well in whatever new endeavor comes her way. Thought you might enjoy a little historical background on the restaurant: Although we are missing many details, here is what we have gathered on that location. If you happen to have more or different information, please let us know. This photo is from the files of Ella Adam. Her notes indicate that it was built in the early 1940's during WWII. I have marked on the photo the location of the restaurant. The remains of the old Wells Fargo Office and Doc Murphy's Office were torn down to build the new structure. before Sharon and Joe Rose took over and remodeled the restaurant to county standards before they passed it on to Linda Mora and Doris Harden. Linda soon took over the lease on her own and operated it from then on. The Corner Store and its side businesses changed names and uses many times over the years. 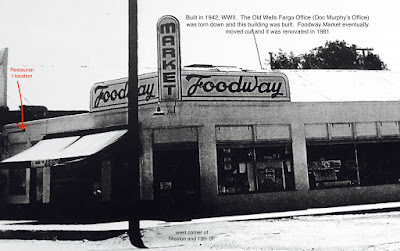 We are not sure if it was the "Foodway Market" or "Justice and Cropper" in its beginnings. the two old GMC fire engines that have long since been replaced. The station was an Arco at the time, but had been a Standard Oil, and a Chevron previously. It was completely destroyed and had to be demolished, leaving the lube shop. It served as a beauty shop for a while but was later added onto and used as a residence. Since it never had the proper permits, the current owner had to demolish it in order to build on the property. 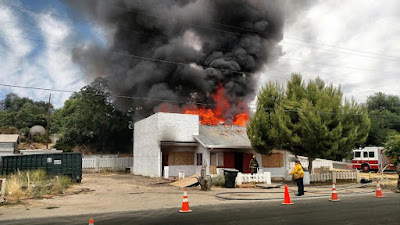 He was able to assist both the CHP and SM Fire Department by requesting that it be used for needed drills and also get much of the building removal accomplished. First the CHP used it for forcible entry room training. 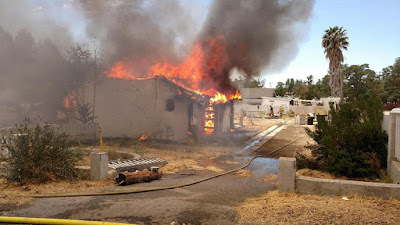 Then San Miguel Fire arranged a building burn training drill for Camp Roberts, Templeton, and San Miguel Fire Departments. 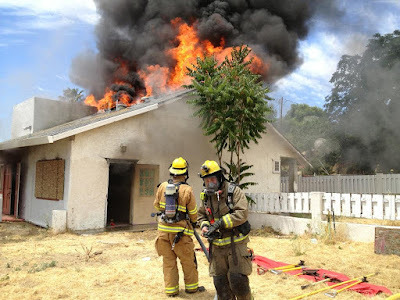 These are a few photos from that training drill that was a valuable training drill for our firemen. Photos are courtesy of fireman David. station or the structure created from the lube shop, please let us know. We always appreciate your added information or pictures. Please contact us with information or suggestions. Several volunteers met recently at the Caledonia Research Library. The help by these volunteers is greatly appreciated and serves a need for both the Caledonia and the San Miguel History Project. We will be meeting again a number of time throughout the remainder of the year with no preset dates, but email notices of when we can be available for the work to continue. I try to get the emails out 2-3 weeks in advance when possible and attendance is only expected whenever the timing is convenient for you. If you are interested in receiving these emails, please contact me at 2011SMRC@gmail.com and I'll add you to the list. Any other way you'd like to be involved or share information regarding San Miguel History, please contact me. Have you noticed the Green Parrot on the fence as you come into San Miguel? It is hard to miss. It was painted and installed by Steve Kalar for the History Project. It identifies the approximate location of what was once The GREEN PARROT . 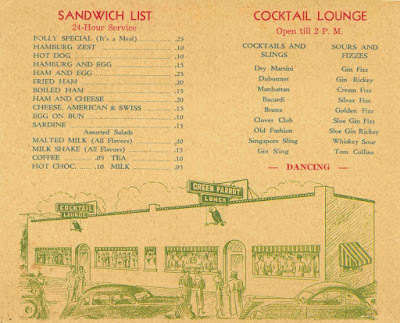 Below is a menu card from that restaurant which was built to accommodate the railroad crews and was a thriving restaurant and bar back in the day. It later became the Mission Trails Cafe. It was hit by a train when it derailed in an accident; southern portion damaged, but repaired. As far as we can tell, it was finally taken down sometime in the early 1970's, but this is information we are trying to confirm. 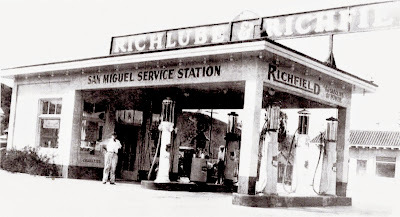 So...if you happen to have any information about this restaurant or site, or ANY INFORMATION or PHOTOS related to this or other San Miguel history, please...PLEASE contact us at 2011SMRC@gmail.com. donation of their time is greatly appreciated because without their hours of volunteer time the project would never happen. We look forward to the addition of the other display panels and other planned history pieces. Stop by Father Reginald Park and take a look so you can perhaps learn more about San Miguel's Historic Past. 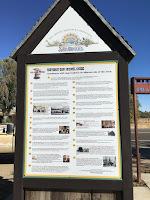 "The first school at San Miguel was a small adobe one room school under an oak tree just across the railroad tracks from where the San Miguel flour mill is located. From there, part of the pupils who then lived in Vineyard Canyon went to a new school built nearer their homes. Others went to "Old Town" southwest of Old Mission to a one room school located at the north edge of the cemetery. 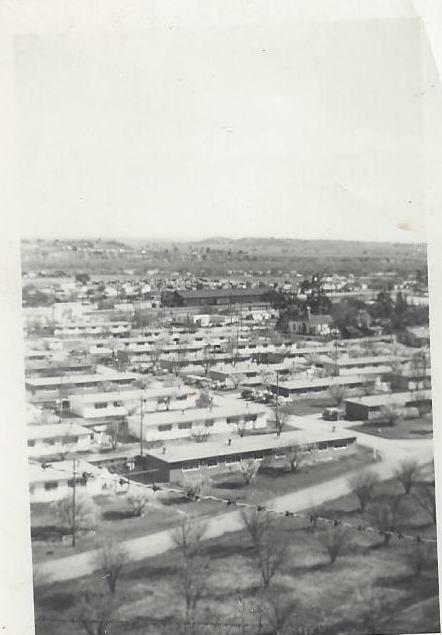 As the new town of San Miguel started in 1886 and people began to move in this area, part of the classes were moved to the Caledonia south of Old Mission. School was held there until the students were driven out by fleas that accumulated by the millions from hogs that lived in the old barn just back of the Caledonia. One day a band of Gypsies came and a teacher, Miss Clara Canoung, and the children were so frightened that they locked the doors and the students crawled under the desks. BRICK SCHOOL In 1889 they were moved into San Migel to a vacant store building and remained there a year until the new four room two story brick schoolhouse was ready for occupancy. It was situated on the site of the park and new swimming pool. By then the town was quite a thriving little city with several hotel, stores, and other business places. In the fall of 1886 the railroad had gone through and in the spring of 1887 it had reached Templeton. Until 1886, "Old Town" had several lovely homes with beautiful flower gardens and shrubs with colorful climbing roses over verandas. 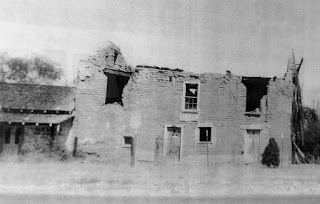 The Jeffreys Hotel was quite a large building and there was a general store, saloon, meat market, blacksmith shop and Episcopal church next to the school-house on the mesa. MOVE BUILDINGS As new San Miguel began to grow, several buildings in "Old Town" were moved there, including the Jeffrey Hotel, church, store buildings and so on. At this time there are only two of those buildings still standing on the old site, which at present are an eyesore to humanity. New San MIguel through the years had had its misfortunes in the way of hazardous fires, when nearly whole blocks were burned to the ground in a few short hours. Across the railroad tracks from the depot was a street of business places, consisting of two livery stables, harness and saddle shop, grocery store, large baker, meat market, two Chinese laundries, and a paint shop, of which some of those were burned and others torn down or remodeled. There are four of these buildings still standing. STILL USED One of the livery stables which was built by John Matthis and Sons is now Louis Bayer' blacksmith shop. The harness and saddle shop built by Joseph Cramer is now the San Miguel Tavern. The Fayne Hotel was built by a Mr. Fayne who also was a section boss. The place is now occupied by the Adkins family. On the corner at the south end still stands one of the Chinese laundries. To finish up this story I will include some of the scholars still alive who attended the first adobe school Miss Mamie Fitgerald, Paso Robles Walter Thompson, Solvang Edith Bayer, Palo Alto. Of those who are know to be still living that attended "Old Town" Lena Matthis Clemons, San Miguel; Walter Thompson, Solvang; Cecelia Milman Bierer, Templeton; Percy Bayer, New York City; and Winnifred Jeffreys All, Palo Alto. " history projects, and we also appreciate the funding for the materials and powder coating through a special grant from Frank Mecham, our helpful supervisor. We're going to miss you, Frank and Vicki! In 2016 we plan to complete the exterior of the kiosk. More on that later. San Miguel has a long history of organizations and can-do people who have been instrumental in adding to our quality of life. Looking at the list of organizations on the community calendar each month gives a sense of energy and viability in the community. The San Miguel Lions Club has been a fixture in the town for many busy and productive years. Thanks to their efforts, San Miguel children have been swimming free of charge for several years. Over the years, they have seen needs and dependably filled them, including building a nice barbecue area in our park. As part of the national organization, they provide vision care and glasses for those in need. Meetings are held at 7 pm on the first and third Tuesdays of each month at the Community Building in the park. For information, call Jeff Clark at 423-7952. Men and women born in California or of California-born parents on military assignments outside of the state are invited to be members of the Native Sons and the Native Daughters of the Golden West. Both organizations work to restore and preserve California’s history and historical sites. The Native Daughters have given funds individually and as an organization to help with the restoration of our own Mission San Miguel. As part of the state organization, the Native Sons help children with cranial/facial abnormalities. They meet on the third Thursday of the month at the Senior Center. The Children’s Foundation Committee of Native Daughters aids children with medical/dental needs not covered by insurance. They meet on the second Wednesday of the month at 7 pm at the Senior Center. For information, call Judi or Fred Thacker at 467-0093. The Friends of the Adobes was founded when restoration of the long-neglected Rios-Caledonia was undertaken. They are active in maintaining the Adobe and preserving local history. Meetings are at noon on the fourth Wednesday of the month at the Rios-Caledonia. The San Miguel Resource Connection is a new group, formed about five years ago to provide art and music at Lillian Larsen School and to form partnerships (connections) with other groups and individuals to help improve the town and community. Their innovative and successful school program, Masters at Their Trade, provides professional artists, artisans, and musicians who teach classes during the after-school programs. A well-attended business fair last year acquainted people with the opportunities in San Miguel. 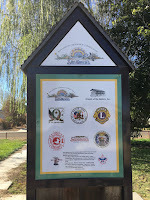 Their web site is Discoversanmiguel.com, where you can check the Community Calendar for events and information about the town. Meetings are held at 7 pm each month at Lillian Larsen School. For information, call Jean Hoffmann at 467-0194. Lighthouse Community Church (467-3636) and Mission San Miguel (467-2131) both have active groups whose members work to sustain them and help those in need. The San Miguel Senior Citizens maintain the Senior Center, which is available to the community for events. To raise funds, they hold a Dinner and Bingo night on the second and fourth Fridays and a Pancake Breakfast on the last Sunday of the month. A sewing and craft group, Twisted Stitchers, meets there on Thursdays from 9 am to 2 pm. For information, call Bette at 467-3445 or 674-2965. 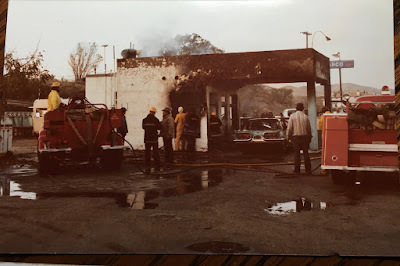 San Miguel has always had a Volunteer Fire Department (467-3300). They provide training and gear for the firefighters. More opportunities include the School Board, Cemetery Board, San Miguel Advisory Council, Friends of the Library, and San Miguel Community Services District Board. For youth, there are 4-H Clubs and scouting. Interest and involvement of citizens can make a happy and successful community. Volunteers are welcome and needed everywhere. Call today. “Doc “ Stanley, an interesting character with an unusual medical practice history. 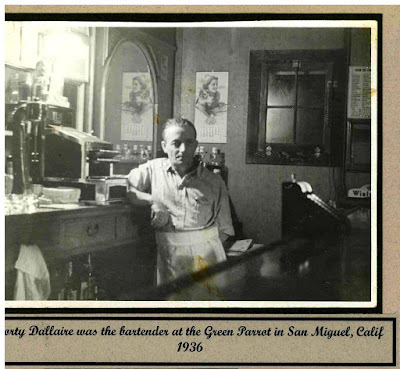 I explored further and discovered it was in fact, the Dr. Leo Stanley who grew up in San Miguel and had written the book, “San Miguel at the Turn of the Century” which was published in 1976. In it he relates many experiences and memories of San Miguel. In 1895, when Leo was 9 years old, he and his family of 6 moved from Oregon to San Miguel. His father, Dr. Hartwell B. Stanley joined several other physicians who practiced in San Miguel and outlying communities. ( Dr. Lorenzo D. Murphy, Dr. Henry C. Murphy, Dr. Walters, and Dr. W. McNaul) Leo finished his education in San Miguel at the old brick schoolhouse and then went on to high school at Paso Robles High. Following high school Leo had decided to follow in his father’s footsteps and went on to Cooper Medical College in San Francisco where he received his medical degree in 1913. As a third year medical student, Leo had what he called a “fruitful and rewarding experience” assisting with his father’s country practice. 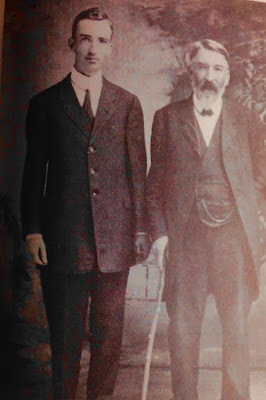 He was able to observe his father’s cheerful, kind, helpful, and understanding manner of devotion to alleviating the pain and suffering of his patients. His father passed away a year after Leo graduated from medical school. Upon graduation, Dr. Leo Stanley took a position as medical officer at San Quentin State Penitentiary . Within months of accepting the position, Stanley was acknowledged for his work ethic, professionalism, and dedication to preserving prisoners lives, and he was promoted to chief surgeon. Dr. Stanley cared for prisoners health needs but also became interested in medical research. The setting of the prison gave him the controlled conditions he needed, and he began some experiments. By 1918 he had begun a sterilization program which he believed would help stop the spread of “undesirable “ genes. He also began his rejuvenation experiments. He grafted testicles from executed prisoners to older prisoners with the thought that he could reverse or slow some of the aging process. He was impressed with the results, but his testicle supply was not keeping up with his demand, so he began a new procedure. Rather than grafting testicles of humans, he used the testicles of goats, boar, and deer which he mashed into a kind of slurry and injected into patients abdomen. By 1940 he had completed over 10,000 implantations. 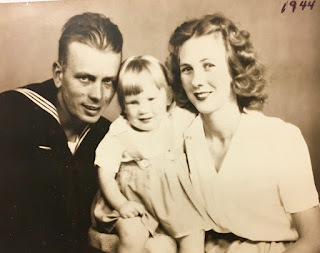 During World War II Stanley served as a surgeon for the Navy in the Pacific and when he returned to San Quentin after the war there had been a shift in thinking about treatment . The medical profession was now questioning the efficacy of his once acclaimed procedures. The procedure fell out of favor and his experiments slowly faded from the scene. He retired in 1951 and became a doctor aboard a cruise ship before returning to his home in Marin County. He was 90 years old at his death in 1976. 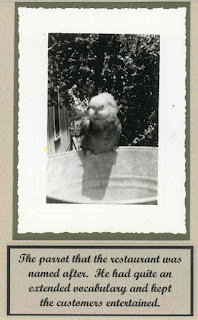 Thanks to writer, Lynne Schmitz, we are sharing one of her stories from November 2011 in the Paso Robles Magazine . The story gives you some information about Almond Acres which just happens to be where Almond Acres Academy got their name. west side of town looking toward the San Miguel Flouring Mill which you can recognize in the background. Photo contributed by Roy Twisselmann, who grew up in San Miguel and now lives in Bakersfield. His mother, Elinore, was a school secretary for years. Some of you will likely remember these buildings and also when the school moved to this site. 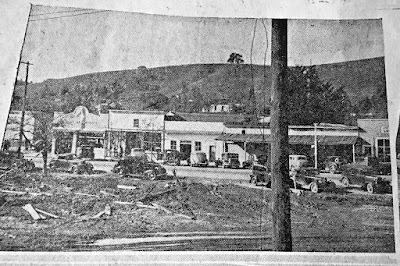 The original building at corner of Mission and 12th St.
Bert King lived in San Miguel from 1929 until 1934 with his Grandfather who operated the newly built Richfield Station. It is presently the Coffee Station owned by Ben and Kelly Work. They still have one gas pump with the blue eagle Richfield logo which Bert told us was designed by his uncle Harold who worked for Richfield and that's how his Grandpa got the lease of the station. Behind the station was a mechanics garage. In case you don't know, almost that entire block had been destroyed by fire in August 1927 , and they built the Richfield Station on the corner that previously was the site of the Kalar Garage. You can see the Bank of Italy building in the background. station in early 1900's. If you double click on image you should be able to view it larger. Also giving you a link to a brochure/magazinepublished monthly by Southern Pacific passenger department in March 1905. This one is about retaining "old" names which they say have a much nicer sound. Be sure to use the zoom to read it easier. All compliments of Thelma Negley Sinclair family files. 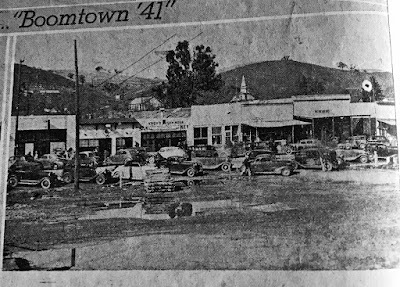 to view early bridge, here for same bridge washed out, or here for a town view before 1941 showing "Almond Acres" way before the School was there and more. All compliments of Thelma Negley Sinclair family files. The San Miguel History Project is lining up a new piece of the project which you will soon be learning about. As we move forward, we will need funding. We have been fortunate to have labor from volunteers. However, we still have expenses for necessary supplies and materials including paint, printing (brochures & copying photos for the collection, having descriptive plaques produced. Donations are greatly appreciated. We have printed this postcard, reminiscent of the past, and reflected the beginnings of the History Project. For a donation of $2.25, we can send you this postcard sent from the San Miguel Post Office with their official stamp on it. Or, we can mail it in an envelope without writing on the postcard. We would be happy to send as many as you’d like. The first one is 25cents more to help defray mailing cost, but any more than one are $2.00 each . If you order 10, we will send you 2 extras as a thank you. If you would just like to make a donation, we would also greatly appreciate that. Send your donations and/or requests for postcards to San Miguel Resource Connection, P.O. Box 822, San Miguel, CA. 93451 and please make out checks to SMRC. Thank you for considering supporting this project through your donations. If you’d like to get involved in the project as a volunteer, please let us know. You can also contact us at 2011SMRC@gmail.com. If you are an artist who would like to do some of the artwork, let us know. We may be able to connect you with a business interested in participating or may have some other options for you. If you have photos or information about historic sites or residents of San Miguel around the turn of the century or into the 40’s or 50’s, you could share those with the history committee to add to those we already have. They could be very useful in filling in missing details and adding to our history knowledge base. Who knows, they may one day end up in the San Miguel History Museum. For your information, we also have T-shirts available at the Mercantile in San Miguel for $15 each. Currently we only have adult sizes SM, M, & L.
Look for more on the History Project coming soon on Discover San Miguel. More information about the History Project is available here. Did you see the Stage Coach pick up mail from the San Miguel Post Office March 11? 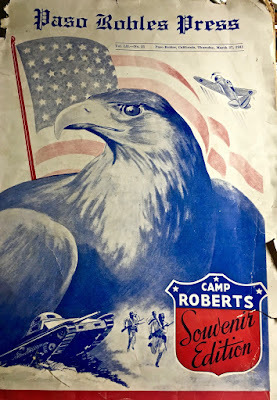 They were heading down River Road to Paso Robles to deliver mail in manner of days gone. This was all a part of the re-enactment of the mail coming to town "on the stage", a part of the Salute to 125 year celebration for Paso Robles. These are 2 photos regarding the Louie Bayer (Ludwig Bajer) Family. 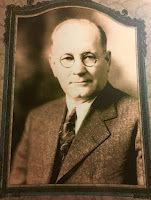 It appears that Louie Bayer Sr. came to San Miguel soon after the birth of his son, Louis Bay Jr. Louis Bayer, Jr.was born in Czechoslovakia in 1913 when Louis Sr.was 38. Louis Sr. was a blacksmith at Sitton Blacksmith and is pictured below. Sometime after 1919, Louis became the owner of the Blacksmith Shop where he worked for many years. Louis Jr. went to school in San Miguel and worked as an electrician for Bresslers Electric of San Miguel. Later he worked for Redwood Empire Telephone Company (San Miguel). He had a son, Lawrence Bayers. Lawrence died in an automobile accident and left one son, Louis III who was also raised in San Miguel where he still resides in what used to be his Grandpa's home. Louis III has a 4 year old son, Louis IV. the Fr. Reginald Park and have agreed to partner with us on this project. The plan is to actively involve community service organizations, businesses, individuals and a variety of artists and art mediums. Our planning committee is blessed with a 4th generation offspring of an historical San Miguel family. Steve Kalar, an internationally acclaimed artist and aesthetic designer, was instrumental in getting this project underway. In 2006 the San Miguel Resource worked with the San Miguel Advisory Council to establish guidelines for public art in San Miguel so that permits for such would not be required by the county. This document, now eases the ability to allow public art for the History Project. Here are the guidelines for public art in San Miguel. San Miguel community service organizations have also stepped forward with a willingness to join together to see this project move forward. The NATIVE SONS, who created and maintain Father Reginald Park, is one of the service organizations who have agreed to partner with us on this project. Since we plan to place a large outdoor portrait of Father Reginald in the park bearing his name, and to install an informational kiosk there as a part of Phase II. Native Sons will be instrumental in completing those parts of the project. 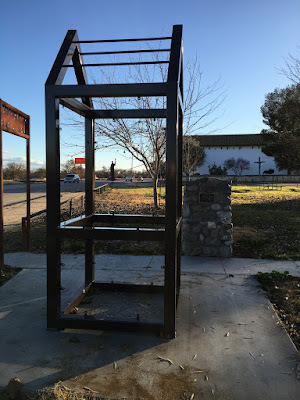 An Eagle Scout Group has stepped forward with a desire to work with us in developing the kiosks as an Eagle Scout Project. PHASE I brings attention to the historic roots of the town of San Miguel. A timeline is beginning in cutouts mounted on the Awalt's business fence, and an "Historic Downtown Trail Guide" guides visitors through town to historic sites. (outside of guide, inside) The Awalt Family, also with historic roots in San Miguel, stepped forward to offer their business property fence at Awalt and Son's Aqua Engineering as a background for some of the initial art work. That includes the characters in "We Honor the Pioneers of San Miguel" which are artistic enhancements of Lillian Larsen School students pencil drawings. It also includes an 8 foot tall portrait of Norris and Rex Awalt. lease contact us if you would like to be involved. As we work to preserve the history of our community, we appreciate you sharing any photos you may have of "times gone by". Do you have any old photos? Or specific information on some of our historic buildings? Do you own one of our historic buildings? Let us know. 2011SMRC@gmail.com . “Honoring Pioneers of San Miguel “ The beginnings of our visual arts piece of San Miguel History Project are underway with the placement of these sections of art on the Awalt’s fence on Mission St. across from Father Reginald Park. pencil drawings as the concept for the designs. The cowboy section was recently added. Businesses, property owners, community organization, and individuals are invited and encouraged to participate in expanding the project throughout the town. For now, please contact Laverne at 2011SMRC@gmail.com if you are interested.